Although you might’ve decided on your first-choice university, it’s important to keep your options open when it comes to where you’d like to study. If you’ve decided on the course you want to study, look at the ranking tables to see which other universities perform well in this area. Ideally, you should attend each of these universities’ open days ahead of results day — but this isn’t always possible. Instead, you can visit the universities websites to see if a course or attend an open day that would be suitable for you. 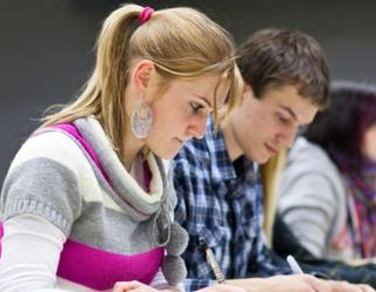 Each university usually lists the modules that you’ll study as part of the degree — read through these to see if they’d be of interest. There might be some universities that offer extra benefits too — perhaps you’re looking to do a year in industry or year abroad? This should also be taken into consideration. Look at student testimonials and comments to help you build up an overall image of the university. Get in touch with family and friends who have been to university to see what they think of their institution. After you’ve carried out your research, create a list of universities that you’d be happy to study at. This saves you doing this on results day if you need to apply through clearing — it helps you make a well-informed decision rather than a rash one. You might be pretty set on the course that you want to study, but are you aware of the other similar courses that are out there? It’s important to have back-up course choices in case you don’t get accepted on your first choice. You could start by exploring courses at the same university as your first pick. Carry out some research into the modules of each course, and you might find that another course shares similar modules. If you get in touch with universities over the phone or by email, they should be happy to give you this information. There could even be potential to swap over onto your preferred course after the first year of the similar degree — find the answer to these sorts of questions to make a well-judged decision on other potential courses. Again, write down the courses that are like your first choice as back-up options. 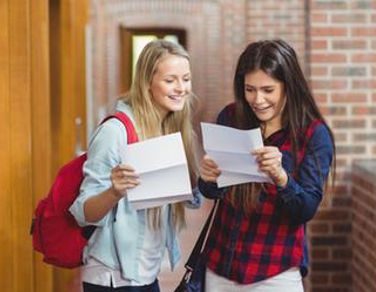 Correspond these with your top universities to create a solid list of courses that you can apply for if you don’t get onto your chosen course. Results day can be stressful, and you want to be as prepared as you can. Part of this is understanding the clearing process and how it works. Speak to your teachers or research online to find more about the topic, but in summary, UCAS clearing is where universities take on further applicants after students have received their results. You can find clearing vacancies online through UCAS and get in touch with universities over the phone. Universities will then decide if they want to accept your clearing application or not. One good way to prepare for results day is to practise what to say on the phone to universities when applying through clearing. For example, make sure you’ve researched the university and you can demonstrate this to them. It’s also important to sound positive about the course that you’re applying for. Ask them if you can arrange to look around the campus before accepting the offer and this will help you make the right decision. As we can see, there are some things you can do to make sure you’re prepared for A-level results day. Do plenty of research and don’t rely on your conditional offers as things can all change on the day. If you don’t get your predicted results, stay calm and focus on getting accepted onto your other options.